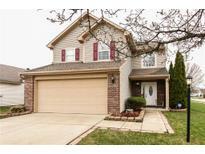 Below you can view all the homes for sale in the Thompson Park subdivision located in Indianapolis Indiana. Listings in Thompson Park are updated daily from data we receive from the Indianapolis multiple listing service. To learn more about any of these homes or to receive custom notifications when a new property is listed for sale in Thompson Park, give us a call at 317-308-8198. Fully FENCED rear with HOT TUB, Deck Updated & Exterior Lights. Neighborhood POOL and Playground. MLS#21633210. RE/MAX Ability Plus. Enjoy the tranquility and privacy overlooking the pond from your back door! MLS#21632267. Berkshire Hathaway Home. House is well kept and as spring goes on the outdoors comes alive with gorgeous greenery, aggregate patio gives it a nicely finished look--Must see this home to totally appreciate the quality and care that has been put into it--see this one quickly because it wont last MLS#21631492. CENTURY 21 Scheetz. Enjoy summers at the community pool! MLS#21627711. Keller Williams Indy Metro W.
Located in desirable Franklin Township and close to shopping, interstate & schools. Move-in ready. Welcome Home! 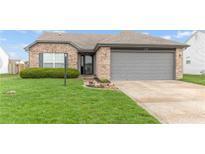 MLS#21627583. Carpenter, REALTORS®. Lovely two stories in Franklin Township close to inter-states , local shopping areas. MLS#21627649. Jade Real Estate Services LLC. Desirable Franklin Township school district, close to shopping, entertainment and downtown. Don't miss this one! MLS#21627166. Front Porch Real Estate, LLC.